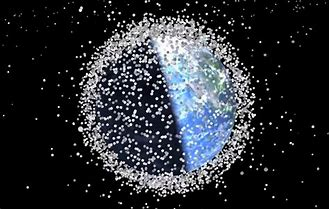 GAAC is fortunate indeed to have Dr. Jonathan McDowell with us this month, at 8:00 pm Friday May 11 at the Lanesville Community Center, speaking on "Space Junk: A Traffic Crisis in Outer Space." Dr. McDowell is an Astrophysicist with the Chandra X-Ray Observatory at the Harvard-Smithsonian Center for Astrophysics, a mathematician and a programmer. Dr. McDowell maintains one of the world’s best databases of orbital material launched into space – aka space junk. It's been over 60 years since the launch of the first artificial satellite, Sputnik, and space is getting busier and busier. There are over 1,500 working satellites up there, but there are also over 18,000 known pieces of orbital debris whizzing around at up to 18,000 miles an hour. At that speed, a collision with even a small piece of junk can ruin your whole day. Dr. McDowell will talk about the demographics of the satellite population: who is putting satellites up there, what are they doing, what the space junk is, why there's so much of it -- and most important, what can we do about it? Join us on May 11th for this colorful, engaging and important talk. Come early for great goodies, fun conversation with friends old and new, and really cool and accessible science.